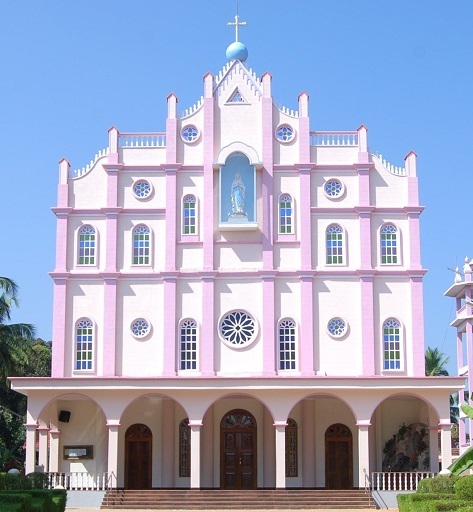 Our Lady of Lourdes Church is located in Kanajar village of Udupi district. 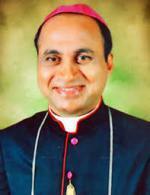 The church comes under the jurisdiction of Udupi Diocese lead by Most Rev. 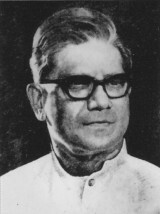 Dr Gerald Isaac Lobo. There are 403 families in the Parish. 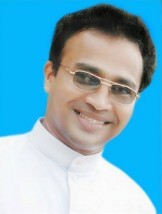 Rev.Fr. Alexander Lewis the Parish Priest and the Sisters of the Little Flower of Bethany headed by the superior Rev.Sr. Lilly Gonsalves lead the people of God in Faith, Devotion and spirituality during the daily Eucharistic Celebrations. Liturgy, Sunday School and the organizations associated with the church under the leadership of the Parish Priest, moreover the sisters are associated with Lourdes Primary School Kanajar. Kanajar, a beautiful place at the interior coast of Karnataka in Karkala taluk, is surrounded by hills and mountains with rich vegetation. 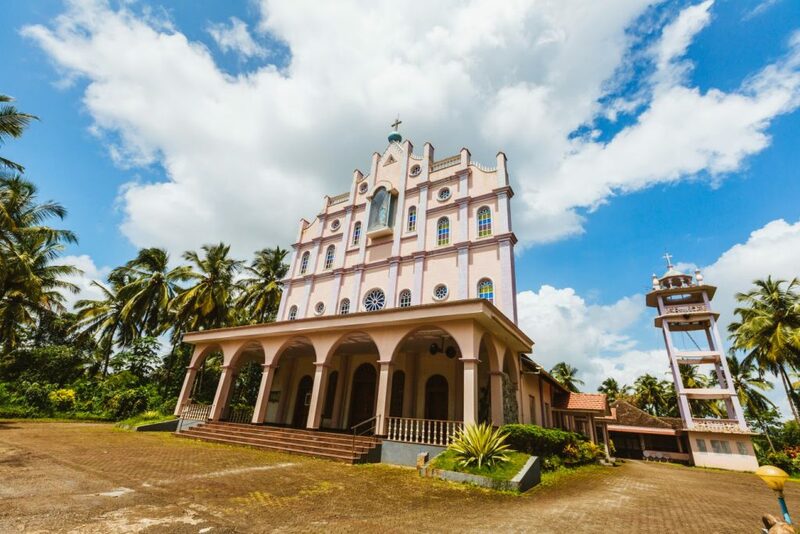 Before 1930, faithful were residing at Kanajar as well from the surrounding villages called Ninjoor, Palli, Kowdoor and Bailoor had to travel to the distant parishes of Attur and Moodubelle for their spiritual needs. Bearing this in mind, Rev. 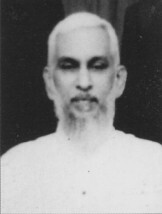 Fr.Casmir Fernandes, the priest of Moodubelle parish, thought of establishing a parish in Kanajar. Inspired by him, his assistant vicar Rev. Fr. William Antony Lewis took over the responsibility of the project. 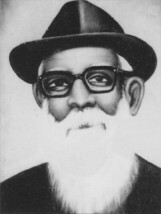 At the time, the villages of Kowdoor and Bailoor were affiliated to Attur parish, while the villages of Kanajar, Ninjoor and Palli were affiliated to Moodubelle parish. It was a daunting task at that time to build up a Christian organization amongst the other religion. Fr. Lewis had chosen sites near Ninjoor as well near Palli. But when people came to know about the purpose, they set back from selling the land. But finally he managed to get a site near a place called “Madmalkal”, which means Bride’s Rock. The land measured 4.57 acre and was purchased from Das Hegde for an amount of Rs.240 in the year 1932. The fund was raised during the Confraternity feast of Moodubelle parish for the above mentioned noble cause. 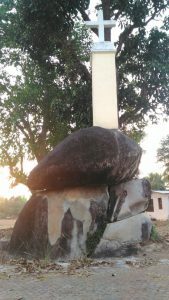 Madmalkal, or the Bride’s Rock, has its own legend. In olden days, if a bride prayed at the rock by offering flowers to it, the next day she would get enough jewelry at the rock for her wedding. But after the wedding was over the jewelry had to be returned back to the rock. But once a selfish lady had kept a trinket for herself from the jewelry while returning it back to the rock. So the miracle ceased to happen from that day. Also the legend tells that, a big seven headed shining serpent used to appear around the rock during nights. To overcome this blind belief, Fr. William Lewis built a cross over this rock in the year 1932. A well was dug and cemetery was formed on the land during this time. Rev. Fr. 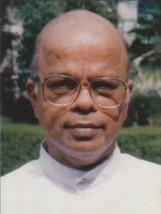 Salvadore D’Souza, then the vicar of Attur parish, suggested that the parish to be devoted to Our Lady of Lourdes, which was subsequently sanctioned by Most Rev. 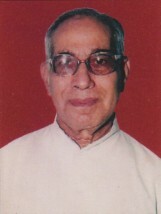 Bishop Victor Rosario Fernandes. This is how Our Lady of Lourdes became the patron of our parish. 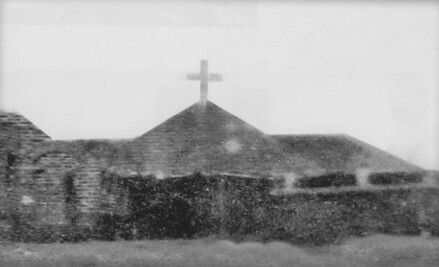 In the year 1933, A shelter was built by Fr. William Lewis. It was built out of wooden pillars and thatched roof. Every Sundays Fr. Lewis used to come from Hangarkatte, close to Moodubelle by walking to celebrate the mass at Kanajar. The first mass was celebrated on April 25, 1933 by Rev. Fr. William Lewis with twenty seven Christian families. 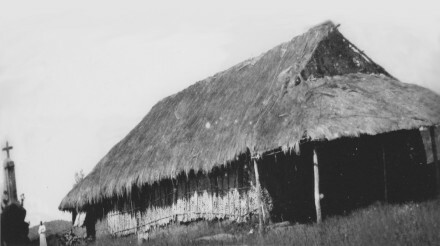 In the weekdays the thatched structure was used for the primary schooling of the children. 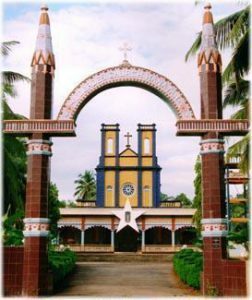 On 24 April 1934, the parish feast was celebrated for the first time in the history of Our Lady Of Lourdes Church, Kanajar. Rev. Fr. 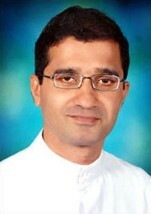 Julian D’Souza presided over the mass,and the sermon was preached by Fr. Denis Lewis. In the subsequent years, in the month of October, a caucus used to take place for the discussions on the parish feast and to decide its precentor. As the expense of luncheon for the priests attending the feast, ten families from each ward had to owe 8 annas. At the time the annual due towards the church was 1 rupee. After two years, Fr. Lewis thought of building a chapel and the Presbytery. A caucus was held, which was attended by the heads of several families. People promised full support for the cause. On February 25 1934, the foundation stone was laid and was blessed by Most Rev. 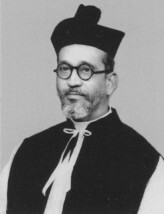 Bishop V. R. Fernandes. Bullock carts were arranged for the transport of materials. People came in turns and offered their selfless service. Fr. Lewis used to offer them the tea. But the people had to carry their own tiffins for their lunch. For the necessary wood for the chapel, The Parish Priest had purchased timber from Meenakshi Hegde of Kowdoor. There was severe shortage of funds, which resulted in the delay of the work.The Parish Priest traveled to Bombay to raise the funds for the noble cause. During this time his health was deteriorated. But he was not let down by Our patron, Lady Of Lourdes. Money started flowing in like a rainy stream and the construction work was completed. The chapel was inaugurated on July 24, 1938 and was blessed by Most Rev. 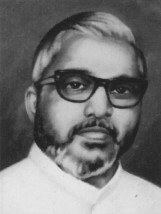 Bishop V. R. Fernandes. After inauguration of the presbytery, Fr. Lewis took his residence in Kanajar. A school had been already started in the presbytery. Before that, Bailur Subbayya Hegde was managing a school at Varvadi, near Kanajar, which he subsequently closed due to lack of students. The Parish Priest purchased that school with all its belongings and had started a school in the presbytery. He himself became the headmaster for the said school. A teachers quarters with thatched roof was built, which was subsequently converted into a tiled roof. When the number of students in the school increased, a separate building was built with pillars and tress beams. While the construction work was on, the pillars began to shake while the tress beams were raised onto them. Priest rushed to church and prayed to Our Lady of Lourdes. He returned and asked them to raise the beams again. Which were eventually placed firmly over the pillars. The school devoted to Our Lady of Lourdes, upgraded into higher primary school in the year 1950. Mrs. Veronica Lewis was appointed as the first headmistress of the new school. Rev. Fr. William Lewis thought in the direction of measures that would bring revenue to the churchdom. He bought the land at Hadankoli near Kanajar, which was been auctioned by the court. The amount for this land was borrowed from Kankanadi Fr. Muller’s hospital’s fund. The Parish Priest repaid the amount through annual installments. Also he purchased land, (where the present post office stands) from Eliyal Gopa Mada. Commercial shop rooms for renting were built on this site, while the remainder was converted into fields for agriculture. 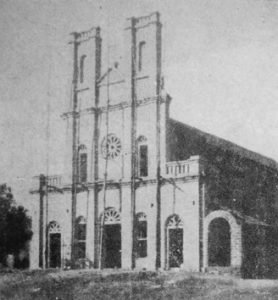 Also there was land in the front of the church, which was owed to church by Kowdoor Meenakshi Hegadti. Because when her daughter had went out of mind, The Priest had prayed over her daughter. As a result she was cured through the intercession of Our Lady of Lourdes miraculously. Houses were built on this site which were subsequently rented. With these developments, The Parish Priest ventured into the construction of new church building in the year 1943. The foundation stone was blessed and laid by Most Rev. 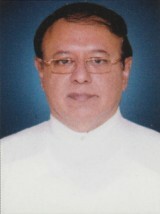 Bishop V. R. Fernandes. The Belfry was built by the masons who were hailed from Coimbatore. While constructing the new church building, Rev. Fr. Lewis sought the guidance of Rev. Fr. Buthelo the Parish Priest of Belman who used to visit here to give his advice. The altar was designed by Jeppu workshop. It took 5 years to complete the new church building. On April 26 1948, the church was inaugurated and was blessed by the Most Rev. 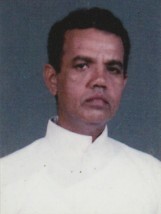 Bishop V. R. Fernandes. The altar was consecrated on the next day of the inauguration of the church. The titular feast was celebrated in a grand manner every 11th of February, in the subsequent years. Fr. Lewis strived hard to rejuvenate the faith of the parishioners. Retreats and other prayers were been conducted every year. He encouraged the parishioners to recite rosary in church as well at homes. The pious organizations such as Third Order of St.Francis, The altar boy’s sodality, The men’s sodality and the girl’s sodality were established.In the year 1958. On the occasion of the centennial celebrations of the apparition of Our Lady of Lourdes, our church was declared as a pilgrimage center. Several pilgrims from far off places visited here. The Parish Priest had organized a new program during this time. Everyday in the evening, people from each ward came in procession to the church, with emblem of Our Lady of Lourdes at the front, and praying rosary. The church ceremony included Adoration Benediction, Readings on Marian devotion and sermons. On the concluding day all the people joined in the procession, with mass being held at the church. The ritual was really magnificent. The Parish Priest had purchased land from government for a playground for the school. Also he had the desire to raise a cross on Hadankoli hill top. So he purchased 17 acre land on the hill and planted cashews in it. 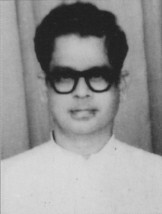 Finally, in the year 1957, the founder Parish Priest, Fr. 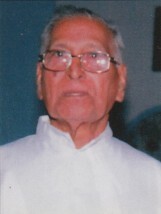 William Lewis was transferred to Attur parish as vicar. 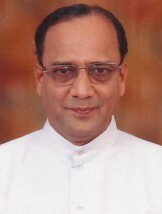 Later he was appointed as Vicar General of Mangalore Diocese and after the death of Bishop Peris, he became vicar capitular of the Mangalore Diocese. Fr. William rendered his valuable service to this Parish best of his capacities in various fields like Spiritual, Moral, Social, Pastoral and Educational. He won the Hearts of all the people of this vicinity without Caste, Creed and Religion. He breathed his last on 25th January, 1982 at Fr. Muller’s hospital. His mortal entered in Our Lady of Lourdes Church Portico of Kanajar.